Jean-Marie Vianney (8 May 1786 – 4 August 1859), commonly known in English as St John Vianney, was a French parish priest venerated as a saint and as the patron saint of all priests. He is often referred to as the “Curé d’Ars”. He became internationally notable for his priestly and pastoral work in his parish because of the radical spiritual transformation of the community and its surroundings, attributed to his saintly life, mortification, his persevering ministry in the sacrament of confession, and his ardent devotion to the Blessed Virgin Mary and Saint Philomena. Vianney was born on 8 May 1786, in the French town of Dardilly, and was baptized the same day. His parents, Matthieu Vianney and Marie Beluze, had six children, of whom John was the fourth. The Vianneys were Catholics who helped the poor and gave hospitality to Saint Benedict Joseph Labre, the patron saint of tramps, who passed through Dardilly on his pilgrimage to Rome. By 1790, the French Revolution forced many loyal priests to hide from the government in order to carry out the sacraments in their parish. In order to attend Mass, even though it was illegal, the Vianneys travelled to distant farms where they could pray in secret. Since the priests risked their lives day by day, Vianney began to look upon priests as heroes. His First Communion lessons were publicly carried out in a public home by three priests. He made his first communion at the age of 13. 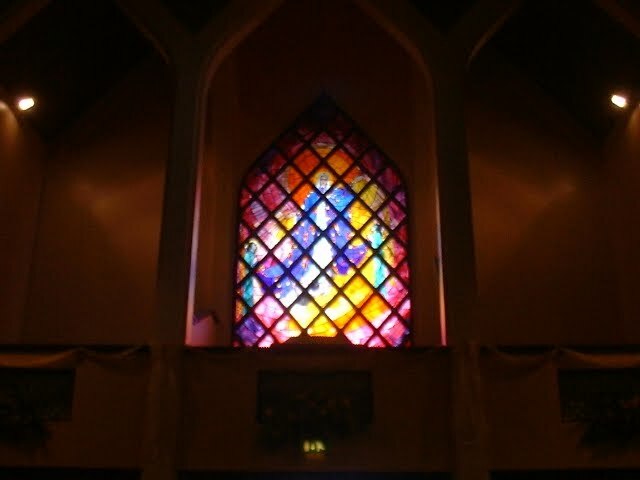 During the Mass, the windows were covered so that the light of the candles could not be seen from the outside. The secrecy of his Catholic practices continued, especially during his preparation for confirmation. In 1802, the Catholic Church was re-established in France, resulting in religious peace throughout the country. By this time, Vianney was concerned about his future vocation and longed for an education. He was 20 when his father allowed him to leave the farm to be taught at Fr. (Monsignor) Balley’s “presbytery-school” in the neighbouring village of Ecully. The school taught arithmetic, history, geography, and Latin. Vianney struggled with school, especially with Latin, since his past education had been interrupted by the French Revolution. Only because of Vianney’s deepest desire to be a priest – and Father Balley’s patience – did he continue. Vianney’s studies were interrupted in 1809 when he was drafted into Napoleon’s armies. He should have been exempt, as an ecclesiastical student, but Napoleon had withdrawn the exemption in certain dioceses because of his need for soldiers in his fight against Spain. Two days after he had to report at Lyons, he became ill and was hospitalized, during which time his draft left without him. Once released from the hospital, on 5 January, he was sent to Roanne for another draft. He went into a church to pray, and fell behind the group. He met a young man who volunteered to guide him back to his group, but instead led him deep into the mountains of Le Forez, to the village Les Noes, where deserters had gathered. Vianney lived there for fourteen months, hidden in the byre attached to a farmhouse, and under the care of Claudine Fayot, a widow with four children. He assumed the name Jerome Vincent, and under that name he opened a school for village children. Since the harsh weather isolated the town during the winter, the deserters were safe from gendarmes. However, after the snow melted, gendarmes came to the town constantly, searching for deserters. During these searches, Vianney hid inside stacks of fermenting hay in Fayot’s barn. An Imperial decree proclaimed in March 1810 granted amnesty to all deserters, which enabled Vianney to go back legally to Ecully, where he resumed his studies. He was tonsured in 1811, and in 1812 he went to the minor seminary at Verrieres. In autumn of 1813, he was sent to major seminary at Lyons. Considered too slow, he was returned to Fr. Balley. However, Fr. Balley persuaded the vicars general that Vianney’s piety was great enough to compensate for his ignorance, and the seminarian received minor orders and the subdiaconate on July 2, 1814, was ordained deacon in June 1815, and was ordained priest August 12, 1815 in the Couvent des Minimes de Grenoble. He said his first Mass the next day, and was appointed assistant to Fr Balley. Shortly after the death of Fr. Balley, Jean-Marie Vianney was appointed parish priest of the parish of Ars, a town of 230. As parish priest, Vianney realized that the Revolution’s aftermath had resulted in religious ignorance, due to the destruction of the Catholic Church in France. At the time, Sundays in rural areas were spent working in the fields, or dancing and drinking in taverns. Vianney was astonished, especially since Sundays were meant to be reserved for religion. Vianney spent time in the confessional and gave homilies railing on blasphemy and dancing. If his parishioners did not give up dancing, he refused them absolution. Fr. Balley was Vianney’s greatest inspiration, since he was a priest who remained loyal to his faith, despite the Revolution. Vianney felt compelled to fulfill the duties of a curé, just as did Fr. Balley, even when it was illegal. Vianney came to be known internationally, and people from distant places began traveling to consult him as early as 1827. “By 1855, the number of pilgrims had reached twenty thousand a year. During the last ten years of his life, he spent sixteen to eighteen hours a day in the confessional. Even the bishop forbade him to attend the annual retreats of the diocesan clergy because of the souls awaiting him yonder”. He spent at least 11 or 12 hours a day in the confessional during winter, and up to 16 in the summer. Vianney had a great devotion to St. Philomena. Vianney regarded her as his guardian and erected a chapel and shrine in honor of the saint. During May 1843, Vianney fell so ill he thought that his life was coming to its end. He asked St Philomena to cure him and promised to say 100 Masses at her shrine. Twelve days later, Vianney was cured and he attributed his cure to St Philomena. Vianney yearned for the contemplative life of a monk, and four times ran away from Ars, the last time in 1853. On 4 August 1859, Vianney died at age 73. Before he was buried Vianney was fitted with a wax mask. Biographers recorded miracles performed throughout his life, obtaining money for his charities and food for his orphans; he had supernatural knowledge of the past and future, and could heal the sick, especially children. On 3 October 1874 Pope Pius IX proclaimed him Venerable; on 8 January 1905, Pope Pius X declared him Blessed and proposed him as a model to the parochial clergy; in 1925 Pope Pius XI canonized him, and assigned 8 August as his feast day. This feast was inserted in the General Roman Calendar in 1928 with the rank of Double. He was made patron saint of parish priests in 1929. The rank was changed to that of third-class feast in 1960, and it is thus celebrated by those who observe the calendar of 1962 as an extraordinary form of the Roman Rite. The date assigned by Pope Paul VI for the memorial of John Vianney is 4 August. In 1959, Pope John XXIII issued Sacerdotii Nostri Primordia, an encyclical on Vianney. In honor of the 150th anniversary of Vianney’s death, Pope Benedict XVI declared a year for priests, running from the feast of the Sacred Heart 2009-2010, and placed placed the Year of the Priest under St John Vianney’s patronage.